A tooth ache or any other dental emergency which requires immediate visit to an emergency dentist can happen to anyone and there are no exceptions to that. 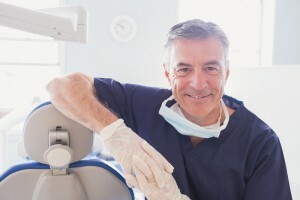 Unfortunately, problems such as bitten lip or tongue, toothache, broken tooth and even a broken jaw, don’t follow schedules of a typical dental office, and can get you when a typical dentist is already closed for the day. Luckily, you can always call an emergency dental clinic which offers you a 24-hour dental care. But how to choose the best one? If you are in Moline, Illinois, you can follow the below list of top emergency dentist Moline picks, where you’ll receive immediate care, regardless of office hours. Description Call our Moline referral service Emergency Dentists USA phone number and get connected to an emergency dentist in Moline, IL in seconds! We provide a service that will get you to the dentist that fastest and easiest way possible, you can call us 24 hours a day, 7 days a week and its 100% free! Secure Dental Moline offers services that will suit both parents and their children. Offered services include emergency dental interventions, extractions, oral cancer screening, teeth whitening and many more, including scheduled cleanings. All that performed by highly qualified and experienced specialists who are ready to help you get your smile back. The practice operates since the early 1900s, though it has moved to the current location in 1980. The practice offers restorative dentistry, endodontic treatment, surgical care, as well as cosmetic services such as teeth whitening or fillings. It is suitable both for adults and children giving you the opportunity to choose just one practice for your whole family. The Goebel Family Dentistry offers a wide range of services, including tooth extractions, crowns, dental bridges and implants as well as cosmetic treatments, dental bonding, porcelain veneers, inlays and onlays, and teeth whitening. The qualified team of doctors and staff are ready to provide you with high-quality results and a lasting smile. Before you visit an emergency dental care in Moline, IL, there are a few things which you should take care of. First and foremost, make sure that your chosen dental practice will accept your insurance papers – it’s best to call and ask about that before you arrive at the office. You don’t want to be charged for the service, especially if your visit to an emergency dentist Moline, IL could have been paid by your insurer. Of course, make sure that you have money to pay for the appointment at your chosen walk in dentist with you. you can list medications which you are currently taking. Sometimes, the procedure will have to look differently, if there are medications which would prevent the doctor from performing certain steps. The same applies if you suffer from certain diseases such as diabetes or if you have artificial heart valves or suffer from high blood pressure. Another important safety precaution is making sure that you have someone who can take you home – this is especially important if you will have a procedure, as you may be unable to drive on your own. One other thing that may come in handy when you visit emergency dental Moline in Illinois are your previous x-rays. They are useful especially if they have been done recently. Dental emergency can get anyone. Selecting a good walk in dentist Moline is essential if you want to get rid of the pain quickly and get properly diagnosed, especially that it all happens so quickly. Obviously, as you are in pain, which can get you even in the middle of the night, it’s harder to make the right decision. Sometimes, you will be unable to call your friends who could otherwise suggest you the right urgent care dentist Moline. In this case, you can search for a dentist online and to make sure that they are fully professional, you can visit local dental society website for Moline to check their background. Similarly, you can quickly search online for reviews to make sure you are choosing the best emergency dental care available in Moline, Illinois.